Fetch Product Based on Categories/Custom Taxonomies/Attribute and Individual Ids. Display Customize fields in items. Show/Hide item’s fields such as : Add to cart, Title, Star, Meta Data, Excerpt and Etc. Font Options : General Fonts, Price font, Meta Data Font and Etc. 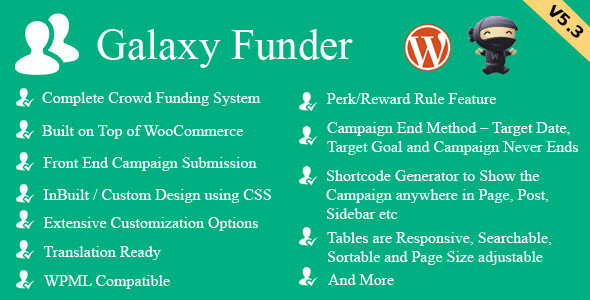 This entry was posted in eCommerce, WooCommerce and tagged Advanced Product Filters, AJAX Price Filter, attributes, color filter, display product, grid, layer navigation, product filter, product grid, product layout, product list, shop filter, woocommerce ajax filter, woocommerce filter, woocommerce product filter on September 12, 2015 by Vera Jaman. 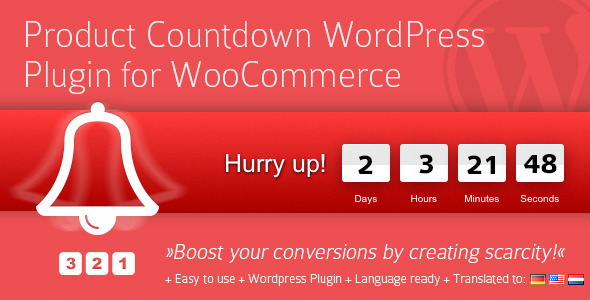 This is an easy Product Countdown WordPress Plugin for WooCommerce. With a countdown displaying on your products you create something like a scarcity mentality in people. It can create a feeling of fear, anxiety and maybe desperation just because they see that the price will rise in a specific period. It also make someone think that s/he has got only one shot right now. Buying a product then relieves much of the pressure (and the feeling of fear). 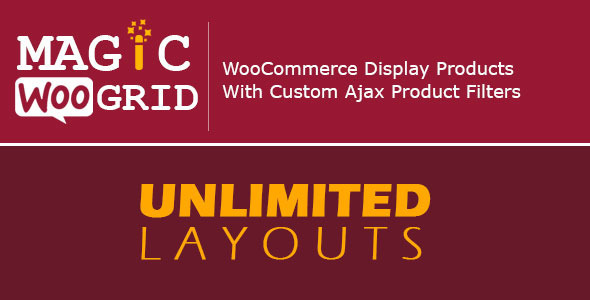 The Product Countdown WordPress Plugin is the most powerful scarcity plugin ever created for WooCommerce. With just a few clicks you can create scarcity-based countdown-timers when a WooCommerce product is on sale. Any other cool ideas for the next version? This entry was posted in eCommerce, Products, WooCommerce and tagged countdown wordpress plugin, ecommerce, scarcity plugin, wordpress timer, wp count down, wp count down plugin, wp countdown timer on September 12, 2015 by Vera Jaman. 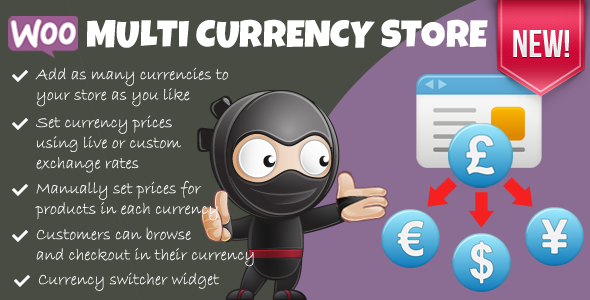 This entry was posted in eCommerce, WooCommerce and tagged currency, ecommerce, exchange rate, multiple currency, muti currency, woocommerce on September 4, 2015 by Vera Jaman. You sell variable products that the user can configure, let’s say sunglasses. The user can choose a colour for the main frame, left arm, right arm, and a lens type. There are 3 different lens types and 4 different colours for the other attributes. This makes a total of 192 possible variations. It would be a terrible job making 192 different variation images for your customer to see, and what happens when you want to add a new attribute into the mix? 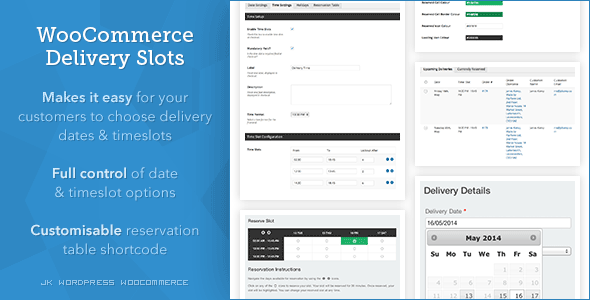 This is where the WooCommerce Product Configurator comes in. Using transparent PNGs, you can assign an image to each attribute value of you product. These are then combined into a single final image, based on your customer’s selection. This means you only need to create 15 images. On top of that, adding a new attribute or attribute value is simple! 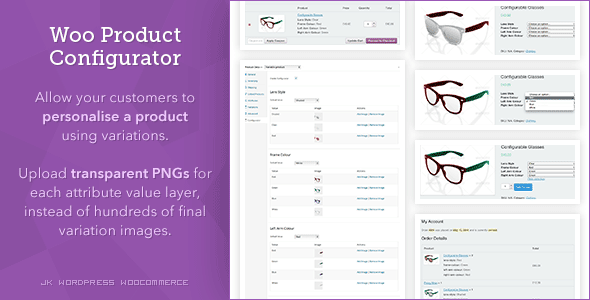 So if you sell variable products and want your customer to see what they’re buying, without you having to create an extortionate number images, the WooCommerce Product Configurator plugin is for you! This entry was posted in eCommerce, Products, WooCommerce and tagged composite, configurable, configurable product, configuration, ecommerce, product configurator, product images, woocommerce, woocommerce images on August 26, 2015 by Vera Jaman. 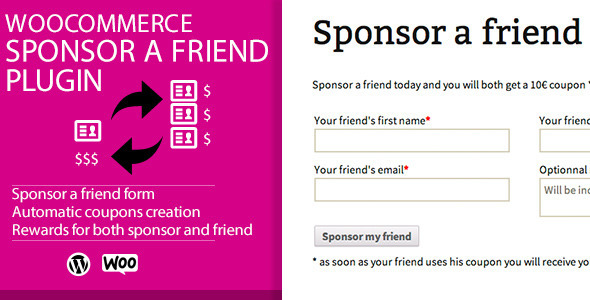 Do you want to accept credit cards on your website and save users confusion and time? 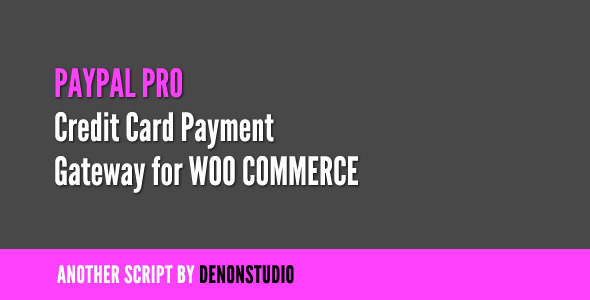 This credit card gateway plugin for Woo Commerce lets you accept credit card payments directly on your website via PayPal. Customers use their credit card during the checkout process and Paypal handles the rest. This lets your users never leave your website for making payments. You must obtain a valid SSL certificate to ensure your customer credit card details are safe. This extension relies on PayPal Website Payments Pro which is available in the United States, Canada, and the United Kingdom. This entry was posted in eCommerce, Gateways, WooCommerce and tagged credit card, e-commerce, ecommerce, gateway, paypal, woo commerce, woocommerce on August 25, 2015 by Vera Jaman. As an admin, you are able to define available delivery days, as well as configure specific time slots. You can set a “lockout” number for each time slot; if you have a limited number of drivers each night, you can restrict specific time slots to a certain number of orders. On top of this, you can define days in the year where deliveries cannot be made; perfect for defining holidays and breaks. This entry was posted in eCommerce, Misscellaneous, WooCommerce and tagged date, delivery, delivery date, delivery slots, ecommerce, reservation, reservations, slots, time slots, woocommerce on August 23, 2015 by Vera Jaman. 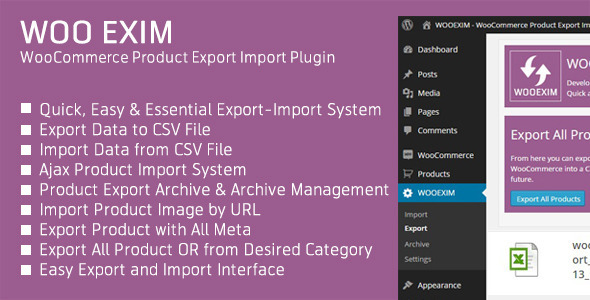 WOOEXIM is a quick easy and essential WooCommerce product to Export & Import your store products. You can export all the products or the product according the selected category in the plugin interface to a CSV file. Exported CSV file will be stored in your WordPress site as Archive you can download it any time. 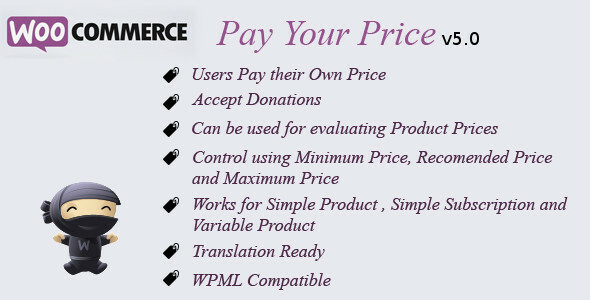 You can also import WooCommerce products from any CSV file. It supports importing hundreds or thousands of products at once. It uses ajax function for import. You can imports images via URL or local file path and imports hierarchical category structures. This entry was posted in eCommerce, WooCommerce and tagged csv, csv import, excel, export, import, product import, woocommerce, woocommerce csv, woocommerce csv export, woocommerce csv import, woocommerce csv product import, woocommerce export, woocommerce import, woocommerce product import, woocommerce store exporter on August 12, 2015 by Vera Jaman.